Yesterday on Saturday 3 July 2010 5th and the last ODI match of the 5 match ODI series was played between England and Australia in London in which Australia defeated England by 42 runs and made the series results 3-2. Australia played first and made 277 runs for loss of 7 wickets in 50 overs and Michael Hussey was the top scorer for Australia by making 79 runs. England was able to make only 235 runs for loss of 10 wickets in 46 overs and lost by 42 runs. 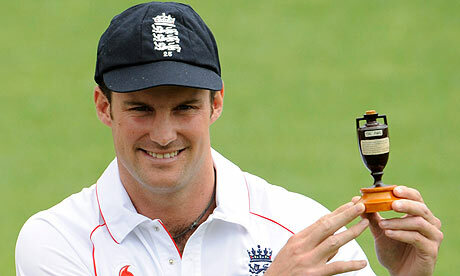 Shaun Tait was declared man of the match for getting 4 Wickets for Australia. but still the Series has been won by the English team as they have won first three ODI matches of the series against Australia. 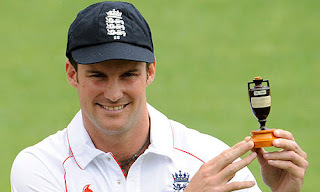 English Captain Andrew Strauss said that i have proud that we have won the series against World Champion Australia despite of losing last two ODI matches.